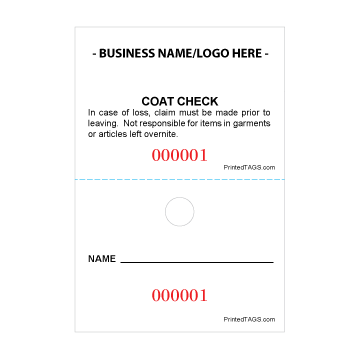 Personalized coat check tags lets you include information and policies specific to your business. Our coat check tickets are perforated for easy separation and pre-drilled to easily slip over a coat hanger. Keep your venue coat room organized and your customers happy!